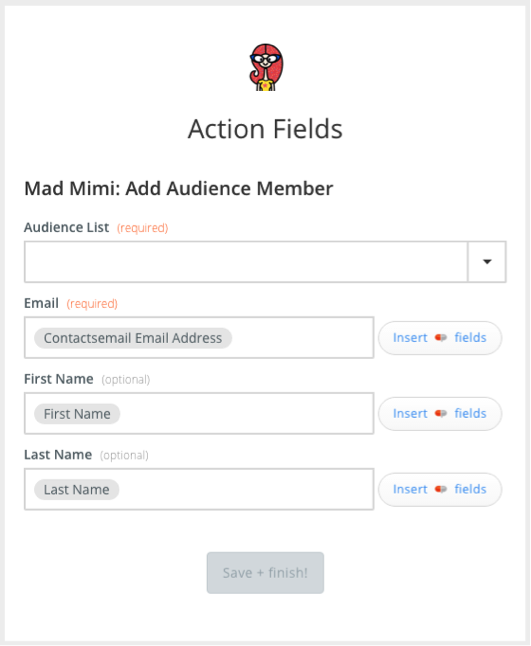 If you want to save new Capsule CRM contacts as audience members in Mad Mimi, you can do that using Zapier. To connect your Mad Mimi account to Zapier, you must have an audience list. You can learn more about getting started with Mad Mimi on Zapier by clicking here. 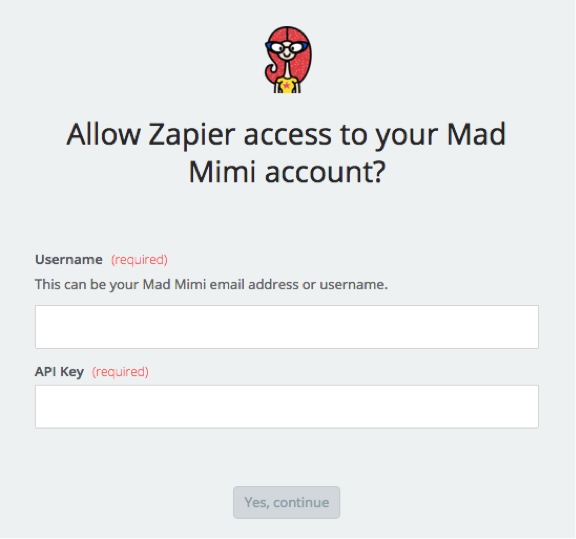 To link Capsule CRM with Mad Mimi using Zapier, make sure you have generated an Authentication Token. 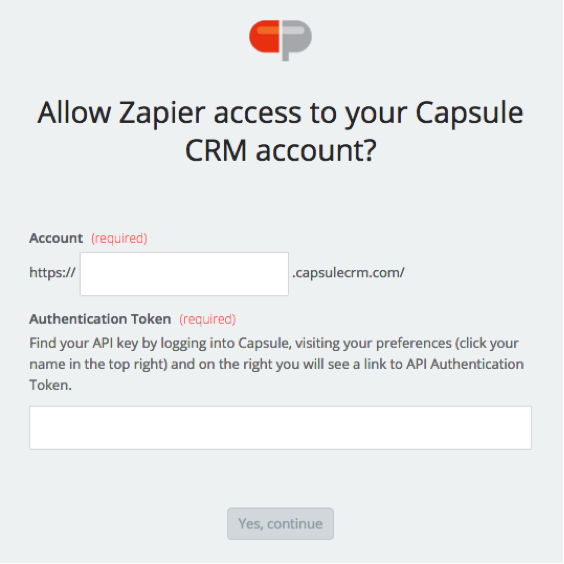 You can learn more about getting started with Capsule CRM on Zapier by clicking here. Note: Mad Mimi requires an email address to create a member. Click here to save Capsule CRM contacts as Mad Mimi members. 1. Connect with your Capsule CRM account by providing your Account name and Authentication Token (you can find this under My Preferences in Capsule CRM). Click Yes, continue. 2. Connect with your Mad Mimi account by providing your Username (the email address you use to log in) and API Key (found under the API tab on the right sidebar in your Account settings). Click Yes, continue. 3. Select which Mad Mimi Audience List new members will be added to. Then, select which Capsule CRM fields will populate the new members’ records. 4. Click Save + Finish! to complete the Zap. Now test the Zap to make sure it works. Once you’re satisfied with the results, you’re all set to collect Mad Mimi members from Capsule CRM! Note: If you ever want to change this Mad Mimi and Capsule CRM integration, just go to your Zapier dashboard and tweak anything you’d like. You can also check out all that’s possible with Mad Mimi on Zapier, and other ways to connect Capsule CRM and Mad Mimi.